My wife has been doing a bunch of cross-stitch lately, which is a pretty neat way to convert thread and patience into pretty objects. Of course, we’re not your “precious moments” type of people, so she’s been challenging me to find her something cool to stitch. 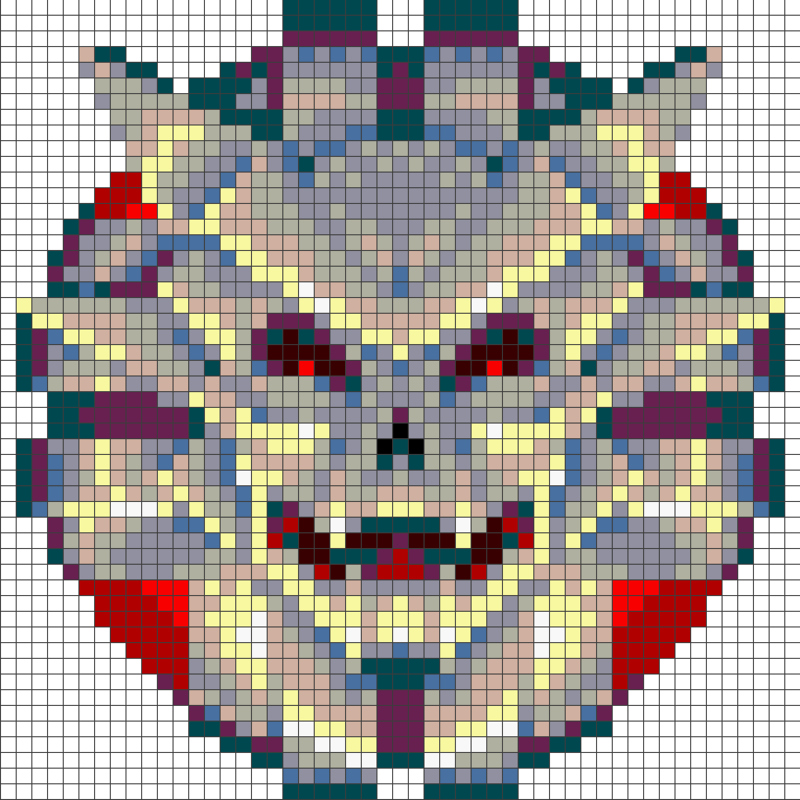 I decided to ask for a cross-stitch Sinistar, which was a borderline-evil thing for me to do. 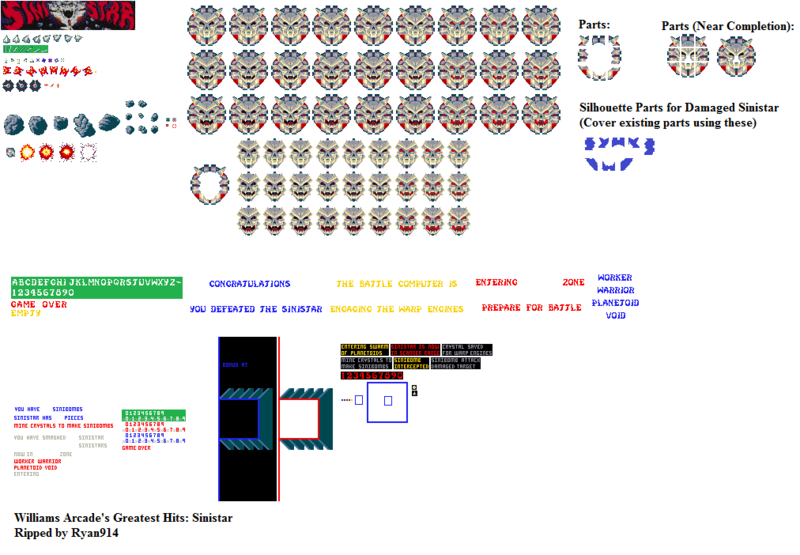 Sinistar is a HUGE character, and terribly detailed, and I would have been a much nicer person if I asked for a Galaga fighter or something. Nonetheless, she agreed… as long as I could find her a pattern to work from. This led to the requisite googling, which turned up only the fact that I wasn’t the first person to have this idea. I wasn’t able to find a pre-made chart, but I am nothing if not persistent. I padded this out to 51 x 51, opened it in Irfanview, and did a Resize (not “Resample”) of 1600%. This gave me a Sinistar image with every original pixel plainly visible. This was a good start, but not exactly something you could cross-stitch from. I fiddled with the idea of adding a grid in Photoshop for a while, but I was pretty sure that I wasn’t going to be up to the task. Fortunately, the Internet came through for me, and I found a terribly useful site with an application entitled, simply, “Grid Drawing Tool“, which has the singular purpose of putting a grid over an uploaded image. This was something she could work from. So, we spent a pleasant Sunday morning in the floss aisle of our local Michael’s Crafts debating which of the seventy-five shades of blue on offer best approximated the particular blue used on Sinistar, she now has a small box full of supplies and a task which I seem to find more daunting than she does, and I have learned how to put a grid onto pixel art, so this has so far been a fun and educational project for both of us.